There are a few particular reasons why an adult in Texas might seek to adopt another adult individual. These reason may include the adoptee requires a custody or guardian or the adult desires the adoptee to inherit from the adult’s will or trust. In other cases, an adult is well bonded with a stepparent and desires to have the same last name as this parent. Despite the advantages to adopting an adult, many individuals in Texas are unaware of exactly how this process occurs. In an adult adoption, the law in Texas requires that the adoptive parent file a petition with the appropriate court in order to adopt the individual. These adoption petitions almost always must be filed in the county where the person adopting the other adult resides. If the adult filing the petition to adopt is married, their spouse must join in the petition for adoption. The adult desiring adoption must also provide written proof that the adult to be adopted consents to the adoption. This consent to adoption must be made in writing. Notice of adoption need not be given to the parents or family of the adult who is to be adopted. After these requirements have been fulfilled, the adult requesting adoption and the adult to be adopted must attend a court hearing. In a few rare cases, if good cause can be demonstrated the court might waive the attendance requirement. Adoption will not be granted by the court for several reasons. 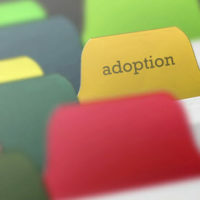 If the adoption appears to be designed to defraud creditors or avoid other legal obligations, a court will likely not allow the adoption to be performed. A court will also likely not grant adoption if it appears that either party is under duress to agree to the adoption process. The state of Texas also prohibits cases of adult adoption where the adoption is performed so that individuals can receive benefits under immigration law. A court must permit adoption if all requirements have been fulfilled. The Texas Department of Health will then issue a new birth certificate for the adopted adult, changing the individual’s surname to reflect that of the adoptive parents. Once the adoption is granted, the adopted individual becomes the child of the adoptive parent or parents for all purposes. While the adopted adult is now permitted to inherit assets from the adoptive individual in the same way as a biological child would, the adopted adult loses all rights to inherit from the individual’s biological parents. In many ways, adult adoptions are simpler than child adoptions. The adoption of a child is frequently a difficult process because, among other reasons, this type of adoption frequently requires the consent of multiple parties. Also, adoptions of children frequently require home studies from Child Protective Services to determine the adequacy of an individual’s home. Adult adoption does not require these consent elements. This adoption process frequently requires a seasoned lawyer like the legal counsel at Lindamood & Robinson, P.C. to make sure an individual is aware of all potential consequences. A skilled Houston lawyer will also be able to make sure that an individual avoids the several obstacles that can be created during the adoption process.